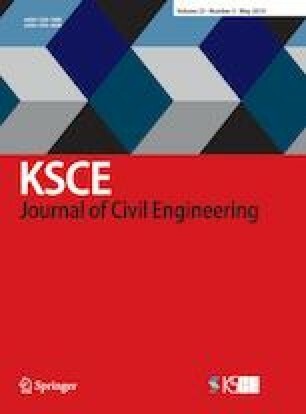 This paper presents a general procedure for evaluating a proper target reliability index and corresponding wind load factor for a wind load-governed limit state in reliability-based design codes. The Monte-Carlo simulation is conducted to reveal relationships between statistical parameters of wind velocity and pressure. The normalized wind pressure is defined and used in the simulations. The analytical form of the wind load factor is presented in terms of the statistical parameters of wind velocity and the target reliability index. The return period of a nominal wind velocity is expressed for the target reliability index and the wind load factor. An approach determining the target reliability index based on the return period of wind velocity at the limit state is proposed. The return period of wind velocity at the limit state is set to that of the design earthquake in a design code. The proposed approach is applied to calculate the target reliability index for the Korean Highway Bridge Design Code-Cable supported Bridge. The target reliability index is found as 2.25, and the corresponding wind load factor ranges from 1.60 to 1.82 depending on the Coefficient of Variation (COV) of wind velocity. Detailed discussions on the return period of wind velocity, target reliability index and wind load factor are made. A simplified expression of the wind load factor corresponding to the target reliability of 2.25 is proposed. The basic wind velocities for five regions in the Korean Highway Bridge Design Code (Limit State Design) are estimated through the proposed procedure.